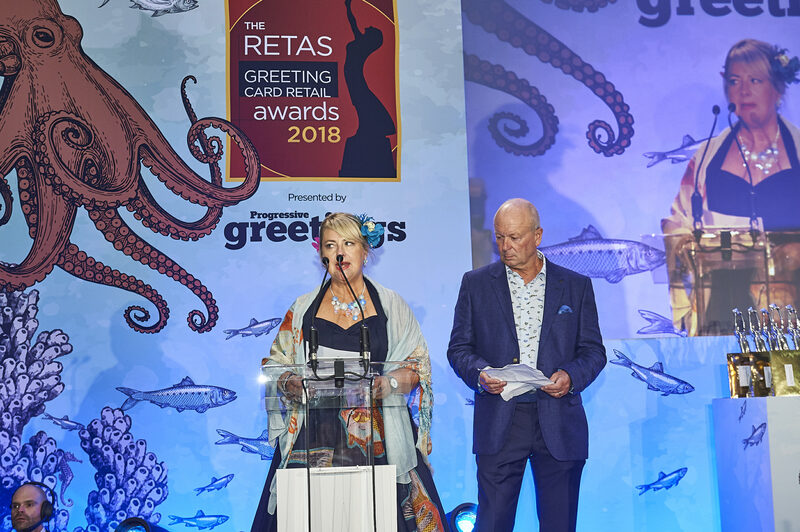 The Retas 2019 greeting card retailer awards event will now take place at London’s Grosvenor House Hotel, not The Dorchester Hotel as initially planned and previously announced. This decision was taken by The Retas’ organisers Max Publishing (which also owns Progressive Greetings) in protest at the anti human rights laws that came into force yesterday (April 3) in Brunei. The Dorchester is among the nine luxury hotels that are owned by the Sultan of Brunei through the country’s sovereign wealth fund, the Brunei Investment Agency. 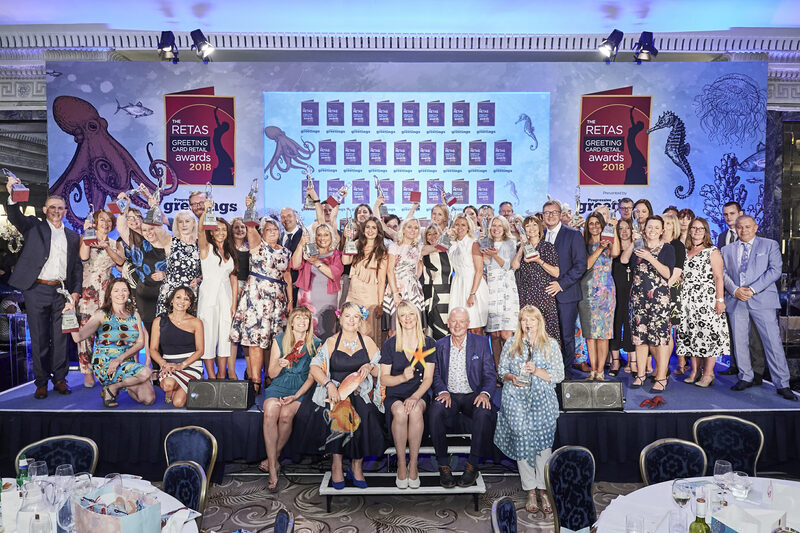 Above: All the winners of The Retas 2018 on stage at The Dorchester last July. 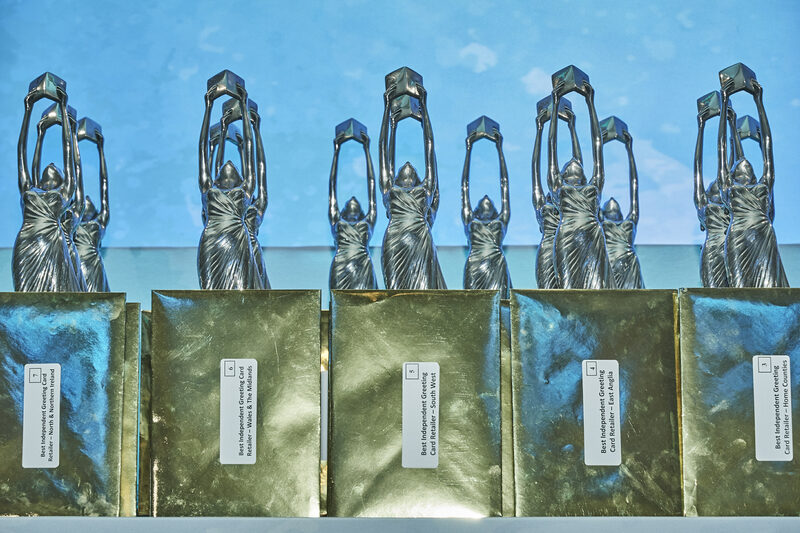 Taking place on the same date as originally, Wednesday July 10, The Retas 2019 awards event will be hosted in the ballroom of the Grosvenor House Hotel, London on Park Lane, a few hundred metres from The Dorchester. Awareness of the laws in Brunei and a campaign for a boycott of the hotels owned by the Sultan has been led by celebrities George Clooney, Elton John and Ellen DeGeneres accumulating support from all directions, including those in the greeting card industry. Among those who took to social media to pledge their support of the boycott and encourage others to do the same is Sean Austin, owner of leading indie card and gift shop, Austin and Co in Malvern. All sponsors of The Retas 2019 are supportive of the move of location. As Warren Lomax, joint owner of Max Publishing said: “Having spoken to all our loyal sponsors, not surprisingly, they are all supportive of the decision to move The Retas. Above: PG’s Jakki Brown and Warren Lomax have taken action, supported by the industry, in protest at the harsh laws in Brunei. Our decision is no way a reflection of our feelings towards the team at The Dorchester, with whom we have enjoyed a very good relationship with for years, but it is a matter of principle. The finalists of The Retas 2019 are due to be announced by the end of April. Above: This year’s Retas trophies will be presented in the ballroom of the Grosvenor House Hotel. Top: The Retas 2019 event will now be staged at the Grosvenor House Hotel in London’s Park Lane.